Stay for a Night… Or a Lifetime. Branson. Where Life Happens. What can Sunset do for You? At Sunset Realty Services, we focus 100% of our efforts on helping our clients reach their goals. Our experienced team works hard every day to deliver on this promise: make the client feel like family. 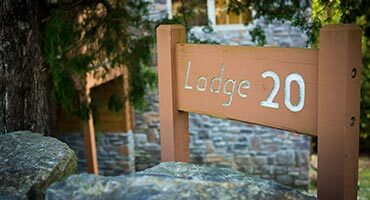 We have cultivated a laid back environment where you can truly feel comfortable and ask us anything. 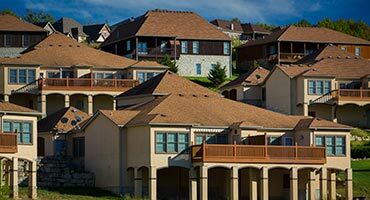 Whether you’re looking to purchase Branson, MO real estate for a permanent home, investment property, or if you're selling your own home, Sunset Realty is here to make the process as easy and stress-free as possible. If you’re interested in Branson real estate for sale our team of professional realtors are the best choice to help you find the perfect property at the right price. Browse our list of featured homes to get some ideas about what sort of property you are interested in, or check out our selection of reduced price homes to find something to fit a tighter budget. Let Sunset Realty show you your dream Branson MO Real Estate for sale today! 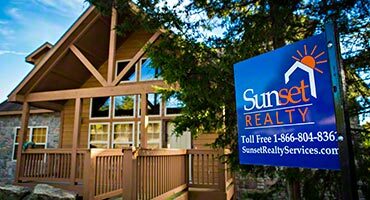 Selling your Branson, MO real estate has never been easier with Sunset Realty. We focus on three key points to maximize your sale: price, demand, and time. We analyze the market, looking at similar properties and their sale price, as well as interpreting demand in your area. Most importantly, we aim to sell in the timeframe that you define; our number one priority is you, of course. Our team can also provide assistance when you’re searching for investment properties. We have information on the most sought after locations in town, and can instantly alert you to prime Branson, MO real estate for sale. As a top tier vacation destination, there are a plethora of properties that make good investments available in Branson. Click here to see some of our amazing Branson vacation rentals! Start your MLS Search now using our intuitive tools. You make the rules - there are no restrictions. You can even save favorites, save searches and more. Give it a try, and find your Branson Real Estate for Sale today! Sift through our homes arranged by city including Branson, Kimberling City, Hollister, and more. Your ideal home is just a mouse click away. Looking for a cozy lake home? Check out our Table Rock Lake Homes, Lake Taneycomo Homes, and Bull Shoals Homes. These listings are updated regularly. See what's new now. Find your next investment easily by visiting our Foreclosures, Reduced Listings, and New Listings pages. These 3 spots should be your first stop in your quest for your next investment property.